Dr. Park was very knowledgeable, understood the reason for my visit and clearly explained the next steps. The hygienistdid a fantastic job with my cleaning as well. Will definitely recommend Dr. Park and his team to anyone. Dr. Park was very knowledgeable, understood the reason for my visit and clearly explained the next steps. The hygienist did a fantastic job with my cleaning as well. Will definitelyrecommend Dr. Park and his team to anyone. *Please provide your Insurance ID number when booking an appointment so that the office can verify your insurance information* Dr. Park graduated from the Columbia University, School of Dental and Oral Surgery in NYC. He is a proud member of the American Dental Association, Washington State Dental Association, and Academy of General Dentistry. 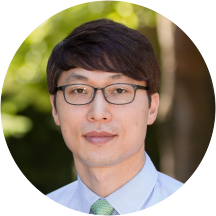 As a general dentist, Dr. Park practices many facets of dentistry with an emphasis on aesthetics, prosthodontics, and painless root canals. He treats patients with complicated cases such as full mouth reconstruction and total smile rejuvenation. He has always made his priorities staying up to date in the latest in technology, news and developmental techniques within the dental community to better serve his patients. Dr. Park likes to take a gentle approach to dental treatment. He and his staff provide high quality dental care in a comfortable relaxing environment. He spends time with each patient to thoroughly educate them on their dental needs and helps them achieve and maintain optimum dental health and function over a lifetime. His experience and dedication to his patients are some of the things that assure you of quality results. Dr. Park is also active in the community. He has volunteered with mobile van clinic and public health organization to donate his services. When Dr. Park is not practicing his passion of dentistry, he spends most of his time with his wife and his daughter. He is an avid outdoor sports fan and a member of the worship vocal team in his church. I had my first appointment with Dr. Park today. Everyone in the office was friendly and welcoming. Dr. Park was very detailed about dental and overall health to ensure the best long term outcome. Excellent team?? Worked well together to care of my needs. Dr. Park and his associate were very informative. They made sure to explain each step in the process of my visit. Very attentive, polite and kind staff. I love coming to see Dr. Park & Hong, they have a genuine well being for you as a person and take amazing care of your teeth with prompt assistance. Shaina is also very personable and remembers your name...best bellevue dentists! Dr Alex is very professional, clearly explains the procedures and techniques he uses. The staff is always very sweet. Great office with amazing staff. The wait time was a little longer than anticipated but I was promptly given a small token of their appreciation for my patience. It's the little things that make going to the dentist a better aexperience, and I think they have mastered that at Bellevue Park Dental. Dr Park was amazing. He explained everything and would even explain what he was doing during his examination. Bedside manner was great, very friendly. Staff was also professional and caring. Great dental experience, all of the staff here are friendly and helpful. Dr. Byungjun Park, explained clearly what he saw from my previous dental work and assured me that it had been skillfully done. I'm happy to have found a dentistthat can explain problem areas and solutions before there is any health concern. Dr. Park is wonderful to work with. He really took the time out to explain the findings during the exam. He is really patient and approachable if you have any questions. Front desk staff was very helpful in looking into insurancecoverage for specific treatments. I'm glad I switched over to seeing Dr. Park for my dental care! Super friendly and attentive to detail. Would definitely recommend. Professional in every sense of the word. Answered all my concerns professionally and empatheticlly. Suggested realistic goals of care without breaking the bank. Dr. Christine Hong is super sweet and very nice. What a great office!!! They're very honest and trustworthy. I will definitely go here if I need to for sure. A great dentist conveniently located in downtown Bellevue. Office staff very friendly,professional and efficient. Dr. Park was fantastic. He was knowledgable and gentle. My visit was efficient yet thorough. I would highly recommend this office. Very caring doctor and great bedside manner. I been coming here past 2 years and highly recommended Dr. Park! I didn't have much expectation with doctor before going there. But found good reviews about him. My experience with Dr. Hong and Dr. Park was beyond excellent! They tried to explain what treatment I would receive with videos and verbal explanation which were very easy to understand. I have additional appts left, but I am sure it's going to be awesome! The doctors and assistant were great to work with. They were so kind and gentle, very thorough. The cleaning did take a little longer than I expected though. The front desk really needs to be more organized... I'm not confident thatI will get a 6 month reminder from them. They said they would call me for a follow-up and never had. It was like they've never dealt with a new patient before. Part of me doesn't want to go back just so I don't have to deal with the unorganized front desk. First visit with Dr. Park to establish care. He has a wonderful practice, and his facilities and staff are beyond reproach. Dr. Park is efficient and great with his patients. I'm very much looking forward to continuing care with his practice. I was seen immediately after checking in. Dr. Park and his staff were very friendly and professional. Highly recommend! Knowledgeable, Professional and very kind hearted. Walked me through the whole procedure. Dr. Park & his compassionate staff made my anxiety manageable. My first appointment was wonderful. Staff were very welcoming and friendly and I was treated with respect the whole time. Minimal wait time and they made sure I was taken care of. I would definitely recommend this place to anybody. I really liked how he explained everything as he went along. I have never learned so much about dental health!